Stanley Martin has been performing onstage since the age of five and professionally since the age of 10. He is currently ,as well as the original Broadway cast member, in the Hit Broadway musical "Aladdin". Some of his other Theatre credits include "West Side Story" the international tour (Indio/Chino u/s), "Smokey Joe's Cafe" national tour (Ken Ard), "Sophisticated Ladies" national tour (soloist), Regionally , White Christmas, King and I, Wizard of Oz, Sugar, 42nd Street, Damn Yankees, Hello Dolly, Dirty Rotten Scoundrels, Hairspray, Showboat and many more. A Bucks County/Philadelphia native he has grown up in the performing arts with his Parents (Marty Krzywonos and Patricia Krzywonos) his sister (Ajah Krzywonos) and cousin (Chyanne Donnel). A triple threat he has been studying dance, singing, and acting since the age of five. Some of his influences range from Gene Kelly, Sammy Davis jr., Lena Horne to Audra McDonald, Amy Winehouse, and Mel Brooks. 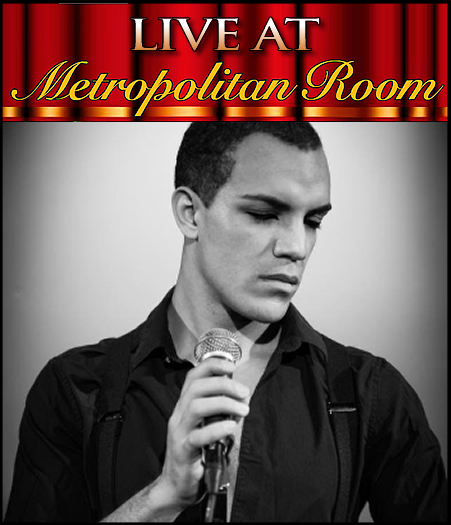 Last year he won the "2016 Audience Favorite award" from The Metropolitan Room's "Metrostar" Competition. Which helped him launch his first Cabaret "Green Eyed Soul" ,Produced by Joseph Macchia at The Metropolitan Room, to a packed house. The New York Times allegedly said "they weren't there". Green Eyed Soul featured the talents of Justin Gonzalez, Kathryn Allison, and Marty Krzywonos. It was musically Directed by Patrick Burns and on drums was Ryan McBride. His next show "Smoke and Mirrors" is a retrospection on his 20 years in show business with the help of his family and friends navigating through all the highs and lows. Featuring the talents of Justin Gonzalez, Kathryn Allison, Marty Krzywonos, Ajah Krzywonos, Patricia Krzywonos, and Patrick Burns!